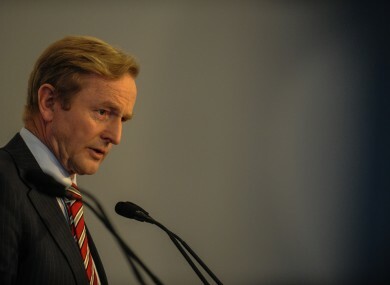 The Taoiseach spoke at a conference on child abuse and neglect last night. CHILD ABUSE HAS not gone away, and we have failed too many children in Ireland, Taoiseach Enda Kenny has said. He made the comment at the 13th European Regional International Society for the Prevention of Child Abuse and Neglect Conference on the issues of child abuse and neglect last night. He said that over the past decade, country after country across the globe have found themselves having to face-up to scandals of child abuse, many of which have been institutional. But for all that we still find ourselves facing the awful truth. Child abuse hasn’t gone away. It doesn’t go away. It is the lingering dark stain on the rich fabric of our humanity. It is an evil which persists. The Taoiseach also spoke of neglect, saying it “is now the most common type of abuse of children”. He said that as Taoiseach, he has made it his business to “do things better for our children”, mentioning the establishment of a Minister for Children, and the Children’s referendum. He said that work is underway to finalise the Children First bill. According to the Taoiseach, the increased awareness of Children First has already resulted in an increase of almost 25 per cent in referrals to the child protection services. He said that the pilot of the national Audit of Neglect Cases published in June, “shows we are also seeing greater recognition and reporting of neglect”. However, the increase in referrals “has put a huge strain on services already under pressure”, said Kenny, saying Minister Fitzgerald is working hard to address this. Minister Fitzgerald has ensured legislation is before the Dáil to establish for the first time a single, dedicated Child and Family Agency. Public service reform being undertaken by this Government involves 4,000 staff across three existing agencies and a budget of nearly €600 million, said Kenny. Kenny also outlined other positive changes the government has brought in, including new standards for child protection, regulations to facilitate reporting for the first time from in-camera court proceedings on child welfare and protection. The Taoiseach said that he firmly believes that these service reforms, when fully implemented, coupled with the Child First guidelines and legislation along with the Child and Family Agency “will leave a lasting legacy”. though we have a long way to go to get child services to where we want them to be, we have done the most important thing of all – we have made the start to reform transform. Email “Kenny: We have failed too many children”. Feedback on “Kenny: We have failed too many children”.